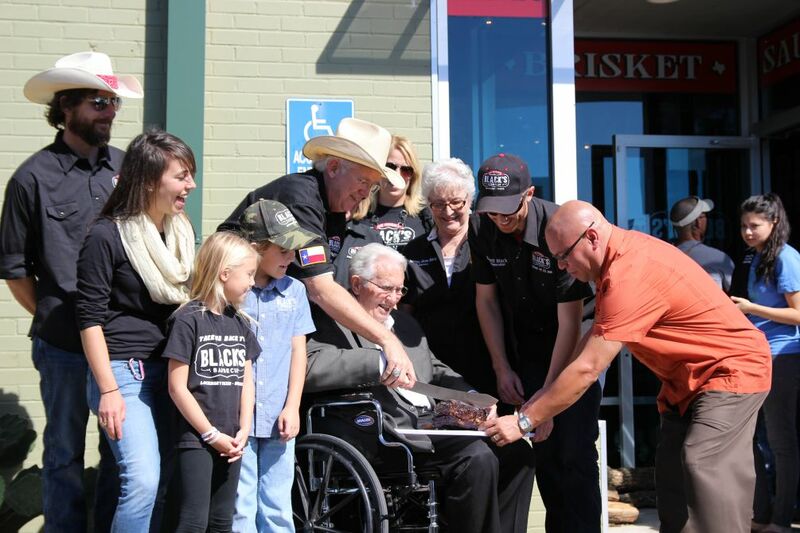 On Saturday November 8th, Black’s Barbecue held the grand opening of their Austin satellite location at 3110 Guadalupe. 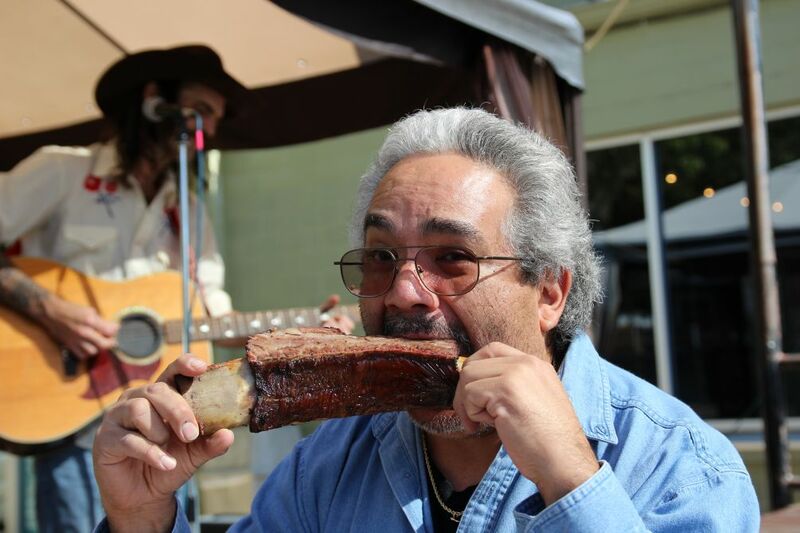 The event drew attendance from across the state with hungry and excited carnivores ready to enjoy Lockhart barbecue in BBQ frenzied Austin. 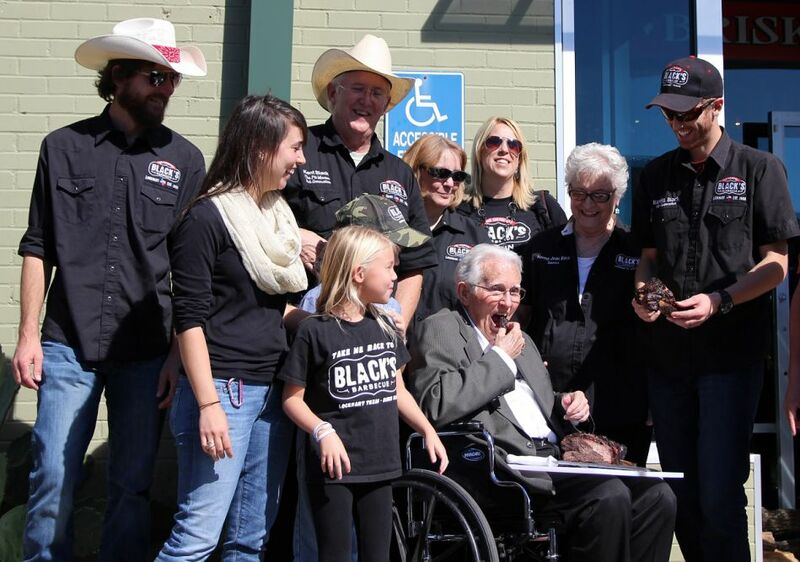 The Black family was on site for the launch including patriarch Edgar Black Jr. 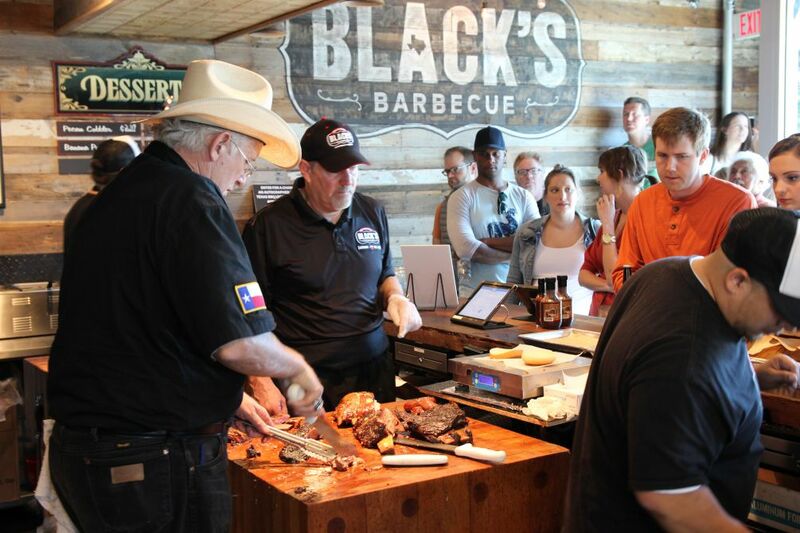 The meats are smoked at the original Black’s location in Lockhart on the same well-seasoned pits that produce the product for the Lockhart location. They are then transported to the Austin site. While some barbecue novices might feel the barbecue will be “reheated” and not fresh, this is not accurate. Brisket should rest for one-two hours after coming off the smoker, and can be held at proper temperature for several hours beyond that. When most barbecue joints open at eleven am, the meat that is served has been finished earlier in the morning and is held at temperature until serving. 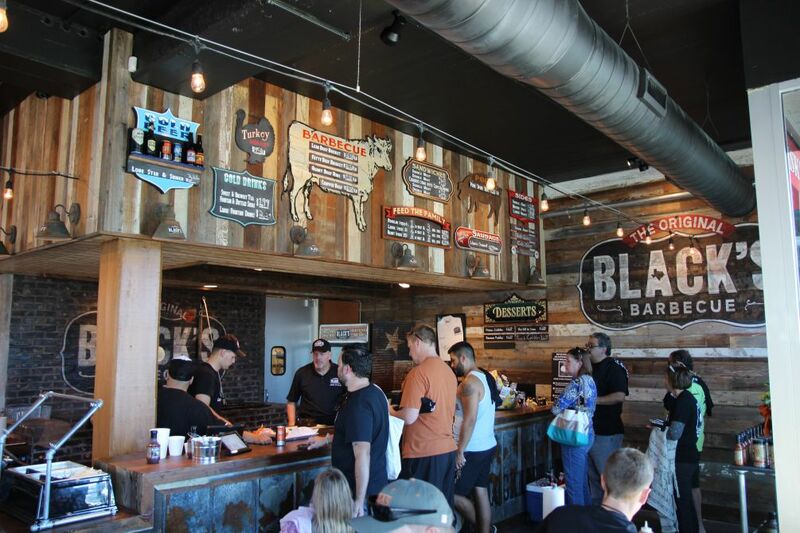 While the setup at Black’s Austin may be unusual it doesn’t affect the taste and the end result is not just Lockhart-style smoked meats, but the exact same brisket, sausage, and more that is served at the original Black’s location. If the delivery system keeps pace, then it’s an ideal solution. Leslye and I arrived at 9:45am and were the first in line for the 11am opening. 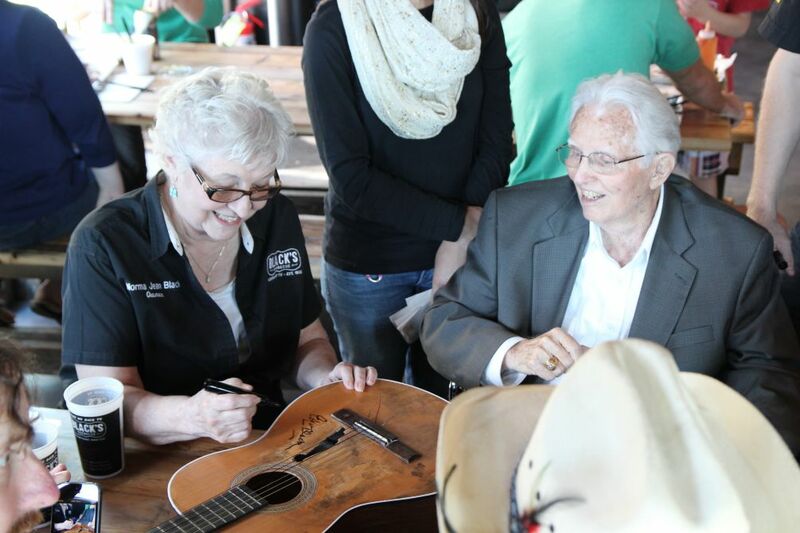 The first 83 people in line received a commemorative t-shirt, autographed posters were given as prizes throughout the event, free birthday cake was offered to celebrate Edgar Black Jr’s birthday which occurred November 3rd, and a balloon artist and face painter were on hand for the young. 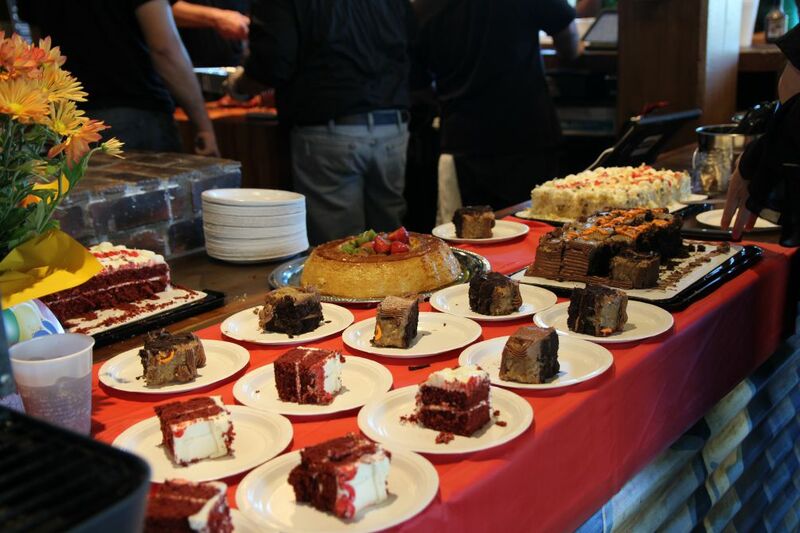 The pricing of the meat was of note with brisket priced at $16.50 a pound and beef short ribs at a surprising $14.50 per pound. 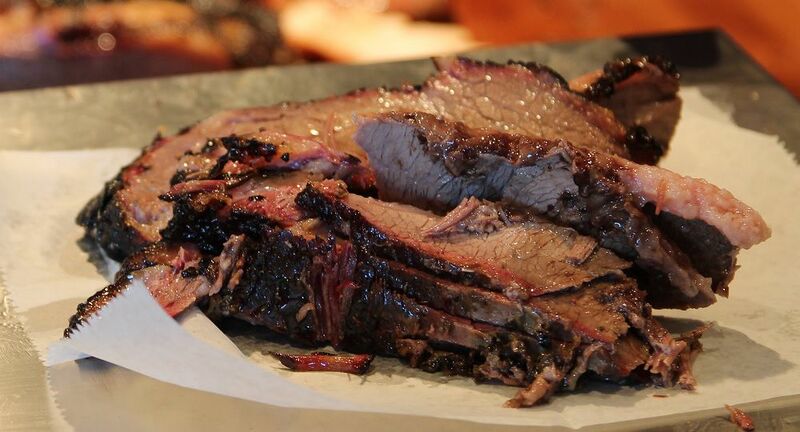 A check of a few of the popular Austin area joints showed brisket at or near $20 and beef ribs between $19 and $20.98 a pound. 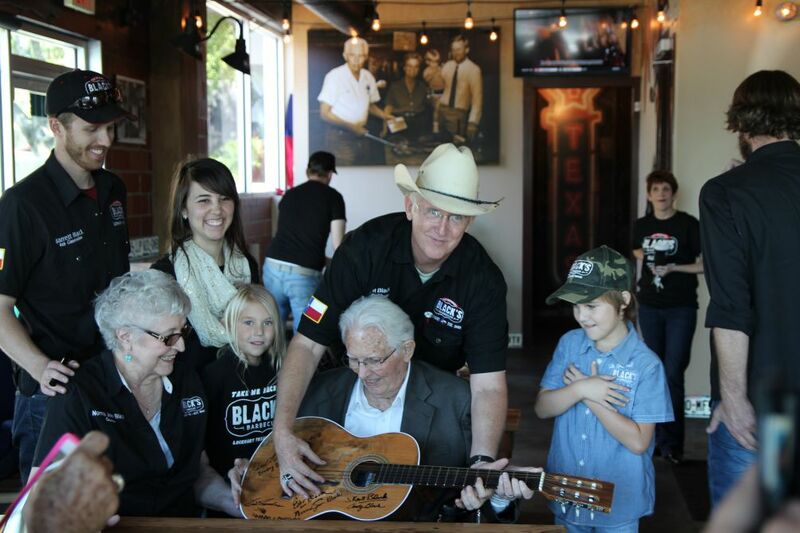 With a reasonably short line, genuine Lockhart barbecue, and pricing below the competition, Black’s Barbecue Austin is off to a great start.